What is behind the steady growth in flexible packaging and form-fill-seal machinery? Manufacturer demand, in part. Customer demand plays an important role, as well. For food and beverage manufacturers, bag and pouch flexible packaging is the future. 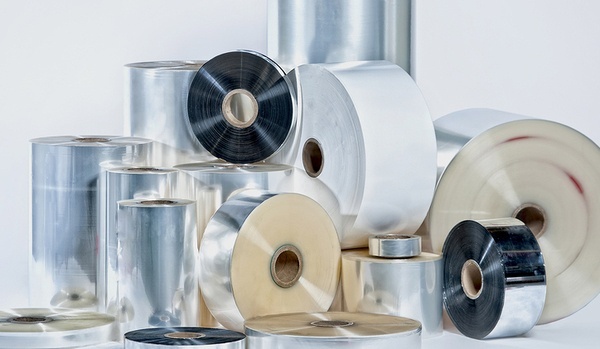 Whether your business is only beginning to transition to flexible packing or you need to upgrade, here are four considerations for form/fill/seam machines and the films that make flexible packaging a reality. Bag and pouch manufacturing accounts for over 43 percent of the global form-fill-seal machine market, according to Transparency Market Research. With sustained demand for flexible packaging and a predicted increase in the coming years, the industry is entering a phase of quality improvements on all possible fronts. Flexible packaging affects every link in the supply chain in one way or another. For end-users, freshness and convenience matter. Food manufacturers have more concerns. Machine speed, packaging quality, and cost effectiveness rank high. When one area, such as quality or cost, slips, the whole packaging initiative can suffer. Today, smart machines do much more than produce a reliable product quickly. Food Processing explains that with the right software, manufacturers can capture valuable data that not only improves packaging quality, but also helps make processes faster with fewer errors. newer materials that can help machines perform better. Smart machines can track and monitor data from seam seals to RFID tags. Additionally, they make the information available on demand from a smartphone or a computer. Cutting-edge machines are only part of the equation for better products, performance, and costs. The flexible films that you choose work in tandem with form-fill-seal machines to help them perform as intended and produce the results that you need. Better films and machines produce better seals, fewer wrinkles, a cleaner appearance, and ultimately a longer shelf life, says Food Processing. With technological advances in films, you could reduce costs and improve packaging quality at the same time. Flexible packaging and form-fill-seal machines are entering a new phase. With the growth trajectory of flexible materials continuing upward and consumer demand increasing, it is not a matter for many food manufacturers of whether to adopt form-fill-seal machinery, but how the next improvements will make business better. Smart machines are a good indicator of a maturing industry. A larger available variety of flexible films is another. Now, food manufacturers can choose from more machine sizes to handle large and small packaging demands. Machine quality is improving, as well, with less downtime, fewer glitches, and less frequent repairs. Flexible packaging and form-fill-seal machinery improve on so many food manufacturing pain points, it is no wonder the industry is experiencing consistent and relatively rapid growth. From manufacturer to end user, costs are lower, packing is better, and the quality of food is better longer. If the array of films has you puzzled, work with a manufacturer who knows the industry now as well as what is on the horizon. Contact us for a free sample and download our corporate brochure to learn more about your options.